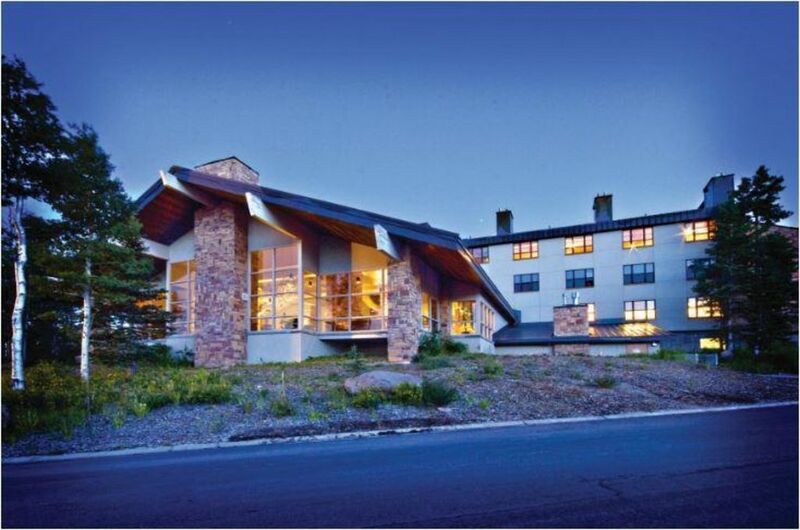 Surrounded by nature’s majesty in the heart of southwestern Utah, Brian Head is a year-round, family-oriented destination with outdoor recreational activities for visitors of all ages and abilities. The Cedar Breaks Lodge is an easy three-hour drive from the bright lights and non-stop madness of Las Vegas. This resort, near Cedar City, Utah, is an uncrowded, unspoiled haven that entices visitors with year-round moderate temperatures, breathtaking scenery and its open-air playground for all seasons. Those who love the outdoors will be right in their element. Favorite Brian Head activities include skiing and snowboarding during the winter, and mountain biking, hiking, fishing and more in the warmer months. There’s so much to do in Brian Head and the Cedar Breaks Lodge. Please note that accommodations are not equipped with air conditioning. Box fans are available upon request. - All reservations that have an alternate guest checking in should make prior arrangements with the resort. One vehicle per accommodation may be parked in underground garages. Additional vehicles must park outdoors or off-site. Due to recent fire, hiking and other amenities featured on their website were not available. MAJOR issue with VRBO 3rd party vacaystay connect not getting our reservation to the property. tho they say ALL are FWD immediately, so unfortunately we were stuck in the middle. OVER an hour going back and forth btwn the 2 in getting us what we paid for. Amber was the Front Desk Manager and helped us right from the beginning til the end and with GM Arnold Needham were able to accommodate 5 adults into 2bd as we reserved. Amber was great thru the process as was the lady from VacayStay in working with Cedar Breaks to resolve the issue. I think her name was Millie as that's who responded to my emails. Restaurant had very very good food as well as our server who made us welcome and comfortable at dinner after the check in nightmare. Needless to say, when booking with 3rd party ALWAYS call Hotel to verify reservations. Cedar Breaks Lodge has top of the line service. The amenities were excellent and of the staff members were extremely helpful. I give it 4 stars because with 3 kids the floor plan of the rental was a bit tight. Weegot the biggest unit they had available. Nothing that the lodge can do about that, we have to blame the architect of the building. Didn't get the type of room I paid for. I booked and paid for the 2 bedroom grand but they didn't have any when we got there which made it difficult for our sleeping situations. The rooms were clean and nice, but not getting what I paid for made it a negative experience. TAXES AND FEES: Hotel Guests: A photo identification, credit card for $100 security deposit and a nightly rate of $14.95 plus tax Resort Fee* will be required (cash is not an acceptable form of deposit). *Resort Fee includes swimming pools, two hot tubs, sauna, steam room, fitness center, basketball court, loan of sleds in winter, bike storage, luggage storage, game room access (foosball and pingpong), outdoor playground, concierge services, movie nights, and boarding pass printing. This property charges a mandatory resort fee due at check-in. Please check listings for details. Rates subject to change. Click "Book it Now" for rates and availability. Reservations may be cancelled up to 8 days prior to arrival. A cancellation fee of 25% of the reservation will be charged. Cancellation requests made 7 days or less prior to arrival are non-refundable.